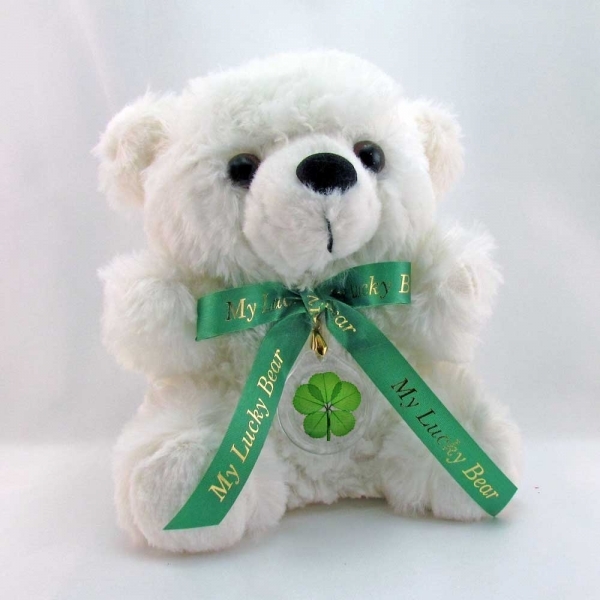 This snow white teddy bear is wearing a real genuine preserved RARE 5 leaf clover acrylic charm pendant and "My Lucky Bear" scarf ribbon and bow. Gift boxed with a clover fact sheet. Bear seated is 6.5 inches tall. Leaves symbolize Faith, Hope, Love, Luck & Wealth!